You’ve heard the stories, worst pain ever right? Labor and delivery have a reputation for being super painful and that can spark fear into the very soul of any pregnant woman, but how bad is it really? Can anything make it less painful? Pain from labor is caused primarily by contractions. These are strong cramps that tighten the muscles around the uterus during labor. They have been described as feeling like strong menstrual cramps by some women, and as the kind of cramps you get with gastrointestinal issues by others, the third group of women might describe them as an intense backache, but some women experience all three. It’s going to depend on your body what you feel. Your body will sometimes have practice contractions called Braxton-Hicks contractions, and while they can be painful, they are not true contractions in the sense that labor isn’t happening. They feel very similar to labor pains though, so while your body is practicing its contractions, you can begin to practice your coping. Figure out what works, are there certain positions that feel better to be in? Does a hot shower help any? Can you breathe through it? Remember that while you may be able to handle Braxton-Hicks contractions on your own, labor contractions are far stronger and last longer and there’s no shame in wanting some pain medication. It is not a reflection on you, your strength, your willpower, or your mothering skills to need or want help with the pain. Labor can last a while, especially the first time out. The good news is that the pain gradually builds, so you have time to acclimate before the strongest contractions. During early labor you’ll want to be up and around if possible, walking can help move things along and make labor shorter. Some women practice mindfulness techniques well before labor to learn to put their body at rest during contractions, while others go to classes to learn Lamaze or other methods to help relax. It can be helpful to have a friend, your partner, or a doula with you to help you focus during this time. 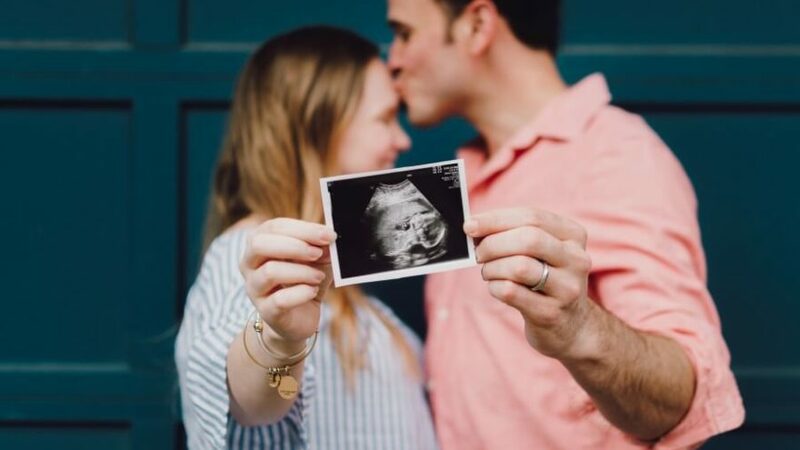 Contractions will be stronger now and start to get closer together, depending on how much your cervix is dilated your doctor may allow you to take a hot shower or dip into the tub if available. Water therapy has helped many women deal with the pain of labor, but you’ll want to be careful as it may slow down progress. Make sure your doctor or midwife approves before going this route. If you can’t get approval for a shower or bath, it might be a good time for a massage. Your birth partner or doula should be up to the task. Rolling a tennis ball on your back can help if you’re having back aches, a good foot rub may help you relax. At this time your doctor may feel the need to give you medications to speed labor along if you’re not progressing. These can make contractions closer together and stronger so if you are open to medication it is time to speak up. Don’t wait until the pain is too much to handle before asking because you might miss your window. Be sure to pack anything you might need in your birth bag so that you’ll have it on hand when it’s time. Bring any comforting items you might want even if you’re not sure you’ll need them. It’s better to be over prepared than under! The last third of labor is when contractions are at their strongest. Many women who thought they did not want a medicated labor are now changing their minds. An epidural can help with the pain a fair amount but it will not completely get rid of it. There are other options for medicinal pain relief, but unlike an epidural they may wear off before you are ready to push, which isn’t ideal. Some women choose not to have an epidural at all, and that’s okay. You have to do what is right for your body, but it’s good to keep in mind that epidurals are safe and effective if you feel you need or want one. Most women feel an intense need to push when it is time and say it feels right or good to do so. The majority of complaints about pain at this point are just when the baby’s head is crowning, and it can feel like a burning sensation or for the unlucky a tearing sensation. It doesn’t last forever though, a rush of endorphins can help you temporarily forget the worst of the pain. If you’ve had an epidural, pushing may be more difficult and last longer, but the pain will be lessened so it’s a delicate balancing act. After you’ve delivered the baby, you’ll still need to deliver the placenta and will have cramps for a few hours as your uterus stars going back to its previous size. A warm towel can help with these cramps. Postpartum pain isn’t often talked about, but it’s important to know that whether you had a c-section or a vaginal delivery you may be going home with stitches. Preparing to care for a baby when you’re still in pain yourself is harrowing, but with the support of those around you, it can be done! If you’ve had a c-section your doctor will send you home with pain medication, remember that getting up and around and walking will help with healing. If you’ve had a vaginal delivery and required stitches, your doctor may advise you to use witch hazel for discomfort and pain. Many women put this on their postpartum pads and store them in the fridge to help cool the pain away in the first few days. If your doctor says to take stool softeners, by all means, do so. Even if you usually don’t have a need for them, the first bm after a baby will be easier and less painful if you follow your doctor’s orders. Being prepared for labor and delivery can seem impossible if you’ve never experienced it, but many years of study and stories can help you know what to expect and knowing your body and mind can help you choose the best way to prepare and cope when the time comes.